The lost art of taking a bath is not so distant as you might think. You can get it back if you really want to pursue it, and you can even give yourself the luxury treatment without the expense and time commitment of a spa trip. 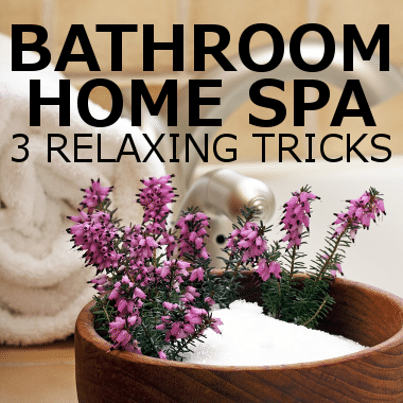 Use Epsom Salt, aromatherapy, and a tub stopper to help yourself sink into relaxation. Unwind in the relaxing oasis of your own bathroom by soaking in the tub for a Detox Epsom Salt Bath with aromatherapy and extra deep water to enjoy.